Are you tired of feeling like you’re on a rollercoaster when it comes to weight loss? Are you frustrated with yourself because you know what you “should” be doing when it comes to eating healthy, but something gets in your way and you fall down time and time again? Or maybe you feel like you simply have ZERO motivation and willpower to stay the course for yet another diet plan? You dream of feeling comfortable in your body. You’re tired of feeling like you’re failing and just want getting healthy to be simple. You want to feel confident making decisions about food instead of feeling confused and frustrated with all the options. Paleo, South Beach, Intermitted Fasting, Low Carb, No Carb, Weight Watchers…. Searching for the “perfect” way to eat to create results has exhausted you and you’re beyond over it. You’re ready to explore what it will take to feel good about yourself without having to think about food. You’re ready to THRIVE in your life and your body so you can feel unstoppable. Imagine if food could hold a neutral space in your life. The truth is it can. Food IS neutral and is neither good or bad it’s only the judgement and emotion that we put on it that makes us believe it is. You can make choices that support how you want to feel without the guilt or judgement when you realize that YOU not food holds all the power. So that you can learn to trust yourself and your body to tell you what it needs. So that you can make empowered, healthy choices with ease and follow through on the commitments you’ve made to yourself and your health. So that you can be loving and kind towards your body. I’ve worked with thousands of women helping them take the reins of their relationship with food and their bodies while breaking their addictive behaviours with food and dieting. I’ve helped them ditch the guilt and shoulds and create a new way of eating and living – a healthy way that allows them to feel good and treat themselves with kindness. I’ve spent almost two decades learning everything I could about nutrition and how to create massive physical transformations in my clients and for myself, but something was missing. I found that a thinner body didn’t produce feelings of self-love or acceptance and dieting was not a long-term strategy for self-acceptance. Ironically weight loss is the easiest part of the transformation, but keeping it off long term is where the real struggle is. Why is it that women struggle to lose weight and keep it off then get stuck in the addictive cycle of dieting? There was something missing – something deeper. It wasn’t until my husband was treated for addiction that I realized the correlation between addiction and food. What we eat is only a symptom of a bigger problem that goes much deeper. If you’ve ever wondered why you can’t just kick the habit of reaching for something unhealthy when you’ve had an emotionally trying day that may have included an argument with your partner, technical gremlins and your kids telling you at the last minute they can’t find their dress shoes, this should be very good news – You can’t control these habits because you’ve been treating the symptom, NOT the problem. There is an answer and it includes reprogramming your thoughts and turning your inner critic into your biggest advocate. In Feelings and Food™ I will take you step by loving step through the process you need to get off the diet train and start living in a body you love and appreciate. Feelings and Food™ is the program to repair your relationship with food and your body! You’ll learn the role genetics plays so you can break your unhealthy patterns with food and stop judging your body and your choices. You’ll learn the ONE thing that once you discover will forever create peace with food and your body so you can stop obsessing about weight loss. You’ll learn how to break free of feeding yourself to feel better and permanently change how you approach weight loss. You’ll learn how to trust yourself and your body to tell you what it needs so you can feel empowered and confident. You’ll discover how to implement lasting routines to help you can finally feel in control. How to put yourself first by saying NO to the things you don’t want in your life so you have more time and energy for the things you love. The science of Addiction and why you will NEVER win using willpower alone. How and why you need to celebrate YOU daily without feeling guilty. Once you understand how to change your perspective from the inside out, you can have a healthy relationship with food and your body where you’ll feel empowered and your weight will no longer take so much of your time and attention. While I know transformation is 100% possible 100% of the time, I want to make sure this becomes your reality. That’s why I’m running Feelings & Food™ LIVE so I can coach, support and guide you as we SLAY the stories you’ve been telling yourself for years. Nothing is going to be able to hold you back from feeling good in your body once and for all. “I just want to thank you. I recently purchased the feelings and food modules and it has literally changed my life. I’m a wife and a mother to a son with a disability and I never had or found time for myself. Through your feelings and food modules I learned how to important it is to love myself. Also through the exercises with each module I was able to dig deep to find out the underlying issues that held me back with every aspect of my life. Especially losing weight and always gaining the weight back giving into my emotions and turning to food. Your program helped me deal with my emotions and not use food to feel better. To just to work through it. I do a lot of self talk and I think that really helps me. I really can’t thank you enough, I’m much happier and so is my family. “Before working with Lisa I was free basing fun dip and living in a constant state of disharmony with my body. I was at my heaviest and completely worn out from trying every diet under the sun. I didn’t believe anything would work. During our time together I quickly realized that it wasn’t about the food. It was about what was underneath the food — the emotions, beliefs, and stories that were driving patterns of behaviour that kept me from losing weight and ultimately being the healthiest version of myself. It’s funny because after 10 months of working together, I still hadn’t lost weight. And then all of a sudden things started to click for me. For the first time in a long time, I felt healthy enough to go back to the gym. Lisa helped me get the confidence I needed to step into a gym even though I felt the most out of shape I had ever been. After our 10 months together were up, I continued to work with her. I was now ready to make better food choices and change the way I was eating to support my workouts. Once I did that, my body transformed FAST. In the next 7 months, I competed in two crossfit competitions, lost over 20 inches, dropped over 10 lbs and TWO dress sizes. Those are the tangible results. So, how does feelings & food™ work, and what does it include? 6 video lessons that include weekly homework lessons so that you can dive into each module and gain more clarity . Feelings and Food™ is the answer you’ve been looking for and I’m the coach you’ve been wishing would show up. As soon as you join, you’ll be welcomed into a members-only portal where you can watch a short video designed to give you all the resources and tips you need to get the most out of Feelings and Food™. We’ll release weekly video modules, and PDF lessons and homework that you can download, fill out on your computer or print off to bring to our live calls. 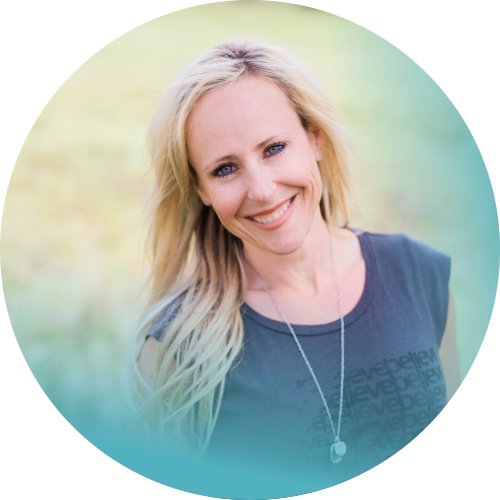 If you’re ready to do the work, I’m ready to guide you and provide the tough love and NO B.S. approach I’m known for. Let’s banish the guilt and disappointment you’ve been carrying about food and your body and release the stories holding you back so you can finally claim a body you feel good in. If you’re ready… let’s DO this! Acknowledge them, release them and become unstoppable. Yes, I want in for $497!